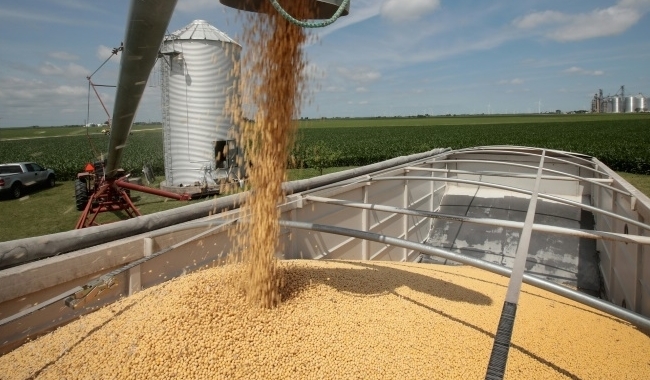 EU Imports considerably more American Soybeans in July. The export of American soybeans to the EU last month was 360,000 tons 283 percent higher than in July 2017. The American share of total imports in Europe has increased from 9 to 37 percent, according to figures from the European Commission on Wednesday. It is the first follow-up after President Jean-Claude Juncker’s commitment to US President Donald Trump that Europe will import more soy from the US. “This is a success situation for European and American citizens,” Juncker said. The fact that imports have already increased in July indicates that the EU has also started to import more American soya beans for Juncker’s promise. That is not surprising: American soy has become cheaper and cheaper than those of the other big producers Argentina and Brazil. Annually Eu imports about 30 million tons of soya beans and soya meal. Brussels is now every two weeks with a statement on the import of soy. The stories help as input for the joint working group that Trump and Juncker set up last week to improve the trade relationship. The first meeting took place this week. EU Commissioner Cecilia Malmström (Trade) is in charge of the European side.